As a busy physical therapist, your focus is taking care of the patients that come to your clinic for assistance. It is quite probable that the last thing on your mind is social media, but if you want to start attracting new patients to your clinic then you really do need to start thinking about how to establish a social media presence. Creating a presence on social media is a great way to send out information to current patients. In addition, it is a great way to gain new physical therapy patients. You might believe it would be more of a waste of your valuable time but the truth is that today, social media is a great way to keep in touch with and to gain new PT patients. If you have never used social media before you may be overwhelmed with how many different social media sites are out there. The best way to start out is to register an account with the top two, maybe three, social media sites. Choosing the right platform depends on your clinic's individual needs. The number you register on will depend on how much time and energy you want to expend on each one. Our suggestion is that you look into establishing Twitter and Facebook accounts to start with. Both of these social media sites have an enormous user base that will help you in finding more clients. When setting up your accounts you want to be sure to include the name of your clinic and your name as well. An example would be John Smith PT Clinic. By including this information, you will be making it easier for people to find you. After establishing your accounts, you need to figure out the logistics related to your target audience. 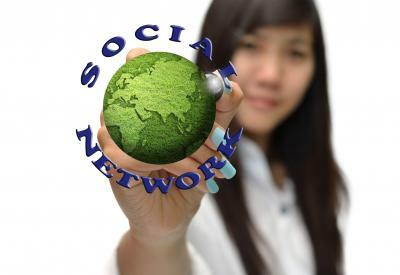 Since you are going to be using your social media accounts as a means of internet marketing, who do you want to reach. Ask yourself the following questions. Who – Determine who your ideal clients are for your clinic. Can you best serve men, women, or both? Are you better equipped to handle the physical therapy needs of all ages or people over the age of 40? Where – Do you only provide PT services to a specific city or town? Do you only cater to a certain zip code? Why – Why should prospective clients come to you? Can you help them with back pain? Can you help them with shoulder, arm, or leg issues? Understand how you can help and why people want to come to you. This is the most important step, creating valuable and relevant content that current and prospective clients will want to see. This means posting on your blog and your social media accounts. If you do not have a blog, it is time that you do that as well. By creating a blog for your business, you have a platform on which to give your client base insight into you, your clinic, and your staff. By keeping up with a blog and your social media accounts, you are on your way to new clients. As for your staff members, family, and friends to share content that you share as another means to get more clients. If you follow the above steps, you can soon have a thriving presence on social media as well as a potential influx of new clients. If you need assistance with social media for your physiotherapy practice, then take a look at some of the great features that PatientSites.com has to offer.